Foods For Long Life: Doug's Magic Dirt FormulaHow I Got 60 Butternut Squash From 1 Seed! How I Got 60 Butternut Squash From 1 Seed! I got 60 butternut squash from ONE seed! Our friends always laugh when they see the size and yield of the vegetables from our garden. It's simply unbelievable how much our garden produces from a single seed. This year the winning vegetable was our butternut squash. One seed yielded a plant that produced 60 butternut squash, each weighing between 2 and 4 pounds - about 200 pounds of squash in all. A few even weighed as much as 5 pounds! I used a year-old seed from a packet of Johnny's JWS 6823 PMR Organic Squash Seed. Their website says the average yield for this seed is 4 to 5 squash per plant. I can't wait to write to them to tell them that we got 60! I believe the secret is Doug's magic dirt formula. Since everyone always asks us, "what's in your soil", I thought I'd write this blog post. It's kind of tough to create a recipe for this since he "adds a little of this and a little of that" and deals in huge quantities, but I think this will come close. #1 - Dig up a cubic foot of soil from your yard and place it in a wheel barrel. #2 - Add a cubic foot of organic compost to the wheel barrel and mix well. 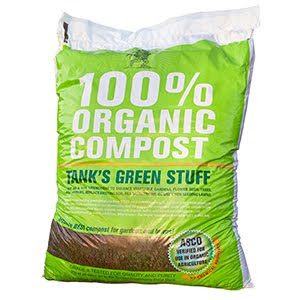 Compost is decayed organic material such as leaves, grass, etc. which greatly enriches your soil. 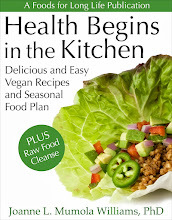 You can buy it or create a compost pile from your vegetable scraps. #3 - Add earthworm castings. This is basically worm poop and is used as a fertilizer in organic farming. Biochar is burnt, carbonized biomass which is used as an amendment for soil to help retain water and nutrients. #5 - Add glacial rock dust. Contains a wide variety of trace minerals that replenishes the soil. Glacial rock dust is a natural product produced from glacial action taking place over thousands of years. #6 - Mix it all together in the wheel barrel and then add to the planting area. #7 -Sprinkle mycorrhizae in the hole where you place your seeds or cuttings. Mycorrhizae are fungi that form a symbiotic relationship with your plants' roots. They allow your plants to increase their ability to absorb water and nutrients from the soil. The plant provides food in the form of carbohydrates to the fungi. A match made in heaven! Well, that's it. Sounds like a bit of trouble but the results are worth it! You will not need to fertilize your plants - this will do it all. You can double, triple, quadruple or cut this recipe in half. Warning: this recipe may result is lots of cooking, canning, freezing, dehydrating, and searching for friends and neighbors to take your vegetables! Hallelujah! I've been wanting to know Doug's dirty (ha!) secret for years. Now maybe I can grow something wonderful too, but lets not forget Joanne's magical seeds! Thanks.